It’s out! 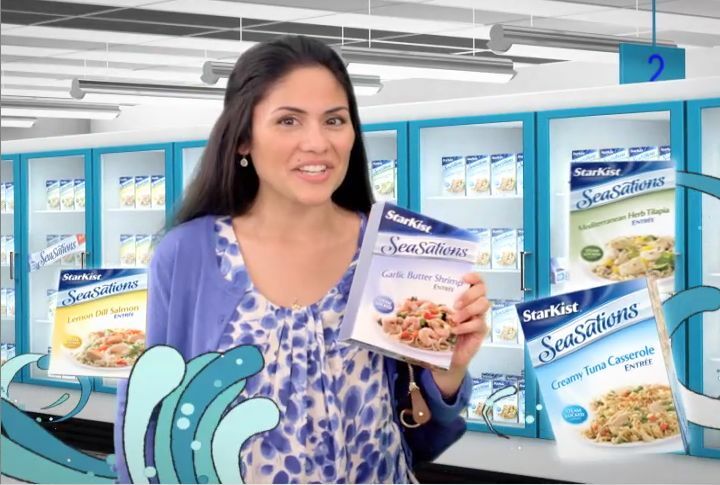 The StarKist Tuna commercial is up and running– and it is beautiful! I ran into a fellow cast-mate from the shoot today and she showed me the final copy. You would not believe how excited I was to finally see it. It came out great! A Year of Possibilities, Priorities & Passion! Carpe Diem! I have this quote written on a post-it on the wall right next to my computer. It helps remind me of what it is that I am working towards when I lose sight on how everything that I —WE do together is intricately put together; one day at a time, one foot in front of the other. We’ll get there. It just takes some time. I rang in the New Year with a hint of 2011’s possibilities pushing through on 2012’s horizon. I read for some amazing commercial and TV casting directors and had a pivotal moment, the hi-there-this-is-what’s-out-there-and-2012-can-be-amazing moment to carry me through the New Year. I am forever grateful for all of the opportunities that I am given. If I could bring rainbow cookies to every door that opens and stay a while to share my heart-felt thanks, I would.